If your home is like most your kids’ artwork seems to pile up from school and playtime but you never get a chance to properly display it. While your children keep getting older and the artwork increases, often times it becomes overwhelming and their hard work goes unseen. 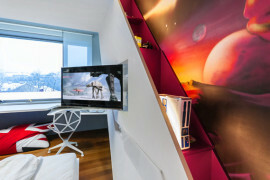 Displaying their artwork can often be a challenge, as you may wonder how to show it off without making the rest of your interiors look child-like. 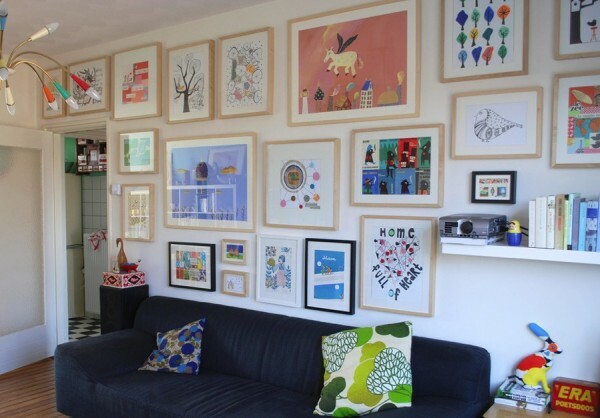 Whether you want to frame their work to place in your modern home or you’d love to create a feature wall in their playroom – you will need ideas on how to display it. 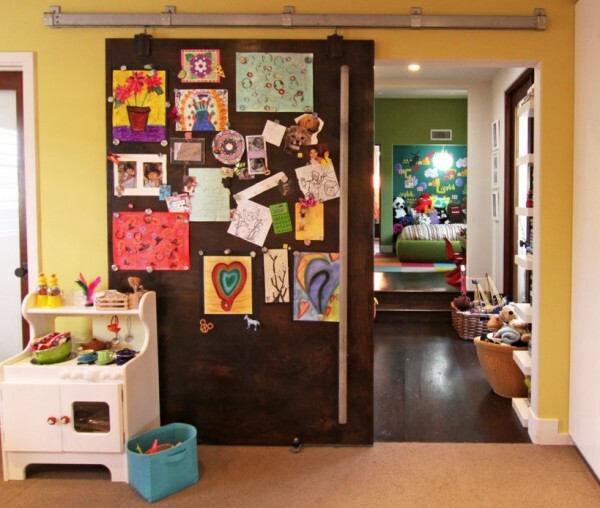 Here are some inspiring ways other homeowners have chosen to showcase their children’s artwork, take a look. 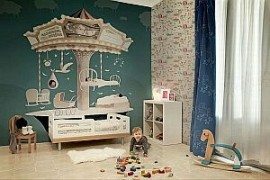 While you may feel like displaying every piece of artwork your children bring home, lets be realistic you will have to make a choice. 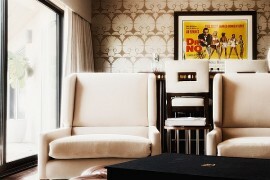 Before deciding look throughout your home and choose feature walls, doors, or other areas where you’d like to hang them. 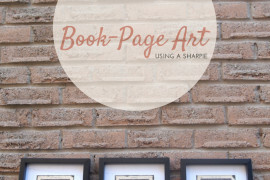 Choose areas that aren’t competing with other artwork to bring the emphasis directly to their artwork. Also choose an area that won’t get disturbed often by little hands or ensure you hang artwork high enough that they won’t get touched often. After all we all love admiring our own work, your children are no different. Most artwork done by children is drastically different from the others. Whether this means in colors, size, composition, etc… and when you have multiple children this is even truer. With that said, decide on a unifying theme to tie their artwork together visually. 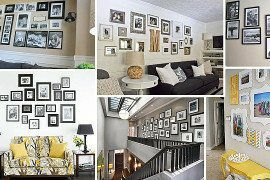 Choose the same colored frames, similar matting color for the pictures, or even making them all the same size will create a sense of order. Depending on where you hang their artwork and the color composition of your existing room, this will help you decide how to unify the space. 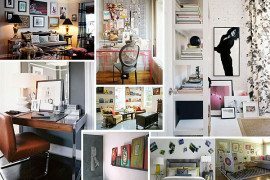 Consider this your gallery in your home and the entire composition needs to flow or it will look chaotic. 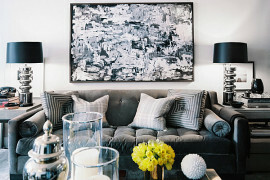 While you may think their artwork is the afterthought, many pieces could create a theme for the entire room! 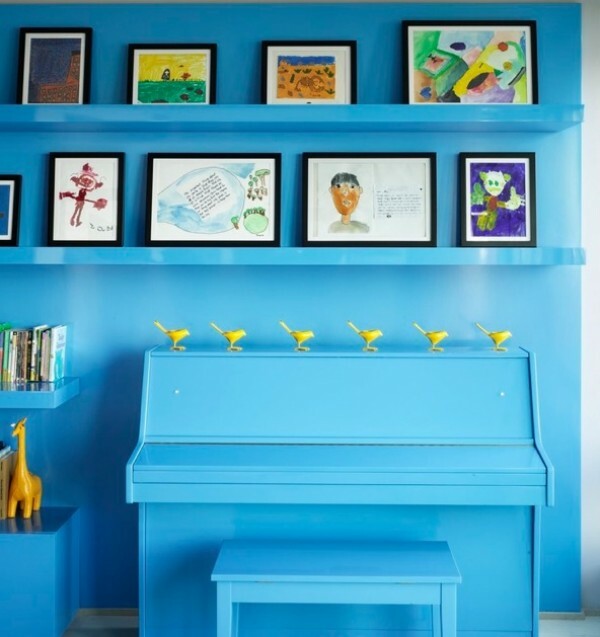 If you your children have a playroom, or a hallway dedicated to their items why not play off of the colors and theme to choose the colors of your room? 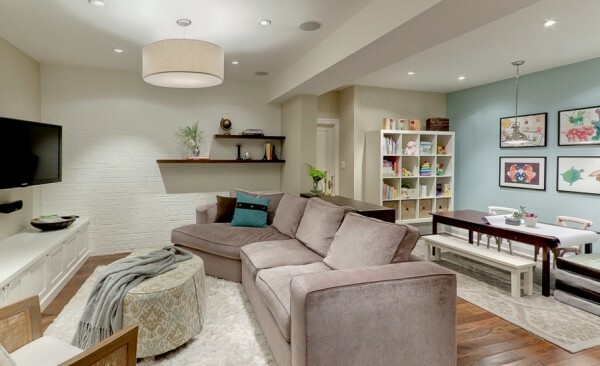 If you have a living or family room that shares the area with little ones, why not divide the space with artwork that appeals to the entire room? Hanging their artwork near their play table while still keeping your sophisticated furniture and decor in another is perfectly fine, especially if you unify the two spaces with a shared color palette. You will love how the two areas can work beautifully together. It’s easy to put kids’ artwork into a plastic bin and collect it over the years and forget about it. Instead of stashing it away, display it proudly in your sophisticated home. Whether you choose to make a feature wall, or only use them as highlights throughout your home create mini galleries throughout your interiors. 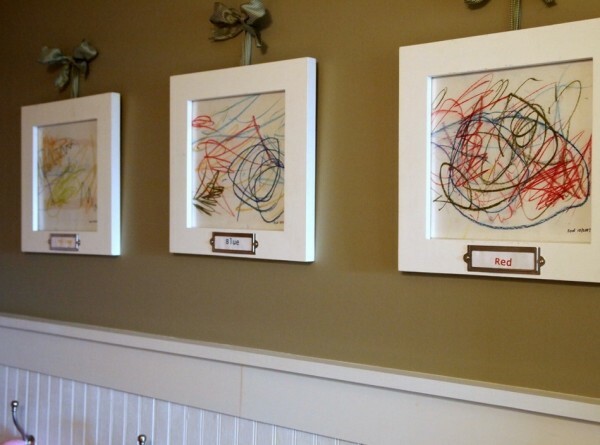 Your children will love to see their artwork displayed and you will love how great it enhances your home.